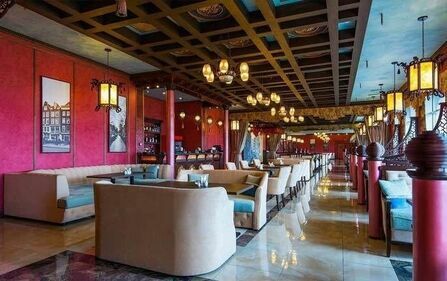 Hookah bars в Kobrin – адреса и телефоны, карта проезда. Review Yesterday, had a very good time in Aura! The waiters work very well, the security guard Eugene is a super-man in his place, there was a problem - he eliminated it very professionally. I liked everything very much, we recommend! Review Good bar, not the first time I go to this place with friends. Nice atmosphere, good staff, reasonable prices. Recommend! Review Visited the evening of the author's cuisine from the chef last Sunday. Only the most positive emotions remain. The dishes are great! Wine matched perfectly. Great unobtrusive live music. The staff is sociable and very polite. The interior is quite cozy. Smoking is possible on a heated terrace. Thanks a lot to the staff and the chef! Will definitely come back here! Review Good day to all! I'll start right away with the fact that I visited many establishments in Minsk, about 40 for sure! (there is something to compare). But Bison was surprised ... in a good way). I have never tasted such delicious steaks! Perfect steak! Delightful! Take friends and come to Buffalo! Well, the price))) is just a fairy tale. Bison is definitely in the list of my best places). There are no such steaks anywhere else! Review Shame on the club. The guard needs to be changed! They were not allowed, although she was dressed well and absolutely sober! The guards are not polite and rude, no explanation was given why they are not allowed! Review Worse places, have not yet visited. Celebrated birthday in Bogema. A table was booked in advance with ordering hot dishes at the agreed time. As a result, the first hot filed with a delay of 3 hours, after repeated reminders. From the second hot refused, for obvious reasons. The holiday and the mood was ruined. I do not advise anyone. There are not many people there on Saturday. Boring and uninteresting. Review Were with friends on Friday. I liked everything from the staff (everyone is friendly and tactful), ending with the taste of the dishes. All five liked the dishes (they all took different). And this is a rarity! Very calm atmosphere, cozy. While waiting for the order, they brought a compliment - bribed). Be sure to return to you again!